When even one of these conditions is not satisfied, information can be lost. If this happens, but people still remember what is lost, the best that can be done is to build a simulacrum of it: an approximate copy... without the original. And when the original ceases to exist, the simulacrum will be the only thing that remains. Simulacra can take many forms; sometimes they can even convey more information than the original. For example, emulators of 3D consoles used at arbitrarily high resolutions and in stereoscopy, or high resolution texture packs for modern ports of older games. There are several works I have been fascinated by and for which the original is lost: either because no surviving copies exist, or because the existing copies can no longer be interpreted by a modern computer, or because the owners of the only copies will not release them to the public under any form. I have made simulacra of some of those, and released them here. Description: One of my favorite game series is the Mercenary trilogy. 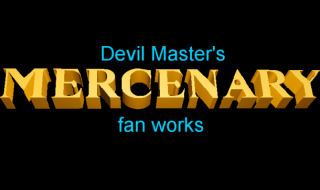 During the years, I recreated its locations in several projects, including one that might become Mercenary 4. 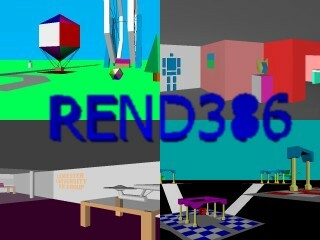 Description: In the 1990s, virtual reality enthusiasts used a software called Rend386 to create simple, low-res explorable virtual environments. In order to be able to explore those environments in stereoscopy and arbitrarily high resolutions, I converted them to VRML and tried to reproduce the original interaction. 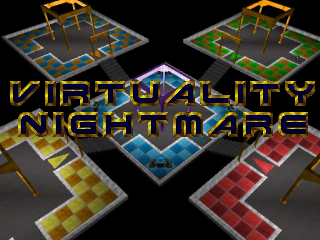 Description: Dactyl Nightmare, a virtual reality arcade game by Virtuality, is the first deathmatch game ever, created even before the term "deathmatch" existed. It was subsequently remade as Dactyl Nightmare SP, but never ported to a home platform. I decided to fix this situation with two Quake 3 levels with the same setting as Dactyl Nightmare and Dactyl Nightmare SP. 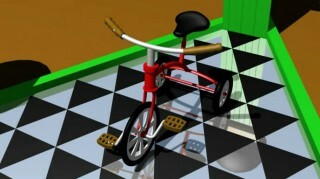 Description: "L'Ancia Therna" was an animation that Georg Campana presented in 1993 at Bit.Movie (a computer graphics competition in Riccione, Italy) and reached third place. A video of it was posted to Aminet, but it was incomplete and lacked audio. I decided to remake that animation as an exercise, adding the missing portions and sound effects based on a description that appeared in Amiga Magazine in January 1994. I also made a VRML world of it to be able to move around the environment. Description: The Commodore 65 is a computer that was supposed to come out in 1992, but was never released due to Commodore going bankrupt. It featured an 8-bit processor, graphical modes with up to 256 colors and a brand-new version of Commodore BASIC. In the following years, the existing prototypes have been sold again and again on Ebay for thousands of dollars. 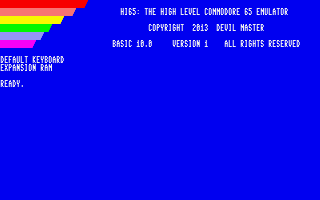 I have made a high-level emulator of the Commodore 65 to let people experiment with BASIC 10 without spending any money for a physical Commodore 65. 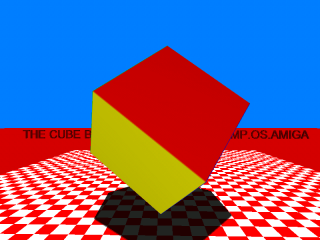 Description: The Cube was an Amiga demo made by Paolo Russo as a practical example for an article about polygonal graphics, that displayed a moving, rotating cube from a fixed viewpoint. I have made a PC port of that demo, with additional camera controls. 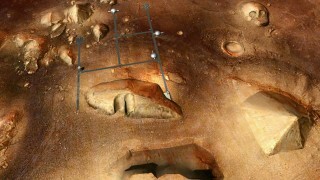 Description: 2001: A Space Odyssey is my favorite science fiction novel of all time. It contains descriptions of alien environments that would be absolutely astonishing to see on a movie screen, but do not appear in the movie because 1960s special effects technology was incapable to create them. 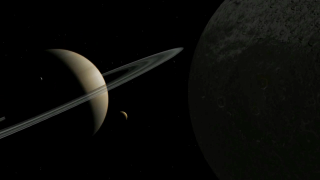 With those descriptions as a guide, I have made animations and VRML worlds that bring to a screen for the first time what had previously only existed in Arthur C. Clarke's mind. "Visions from 2001" is dedicated to the memory of Arthur C. Clarke. 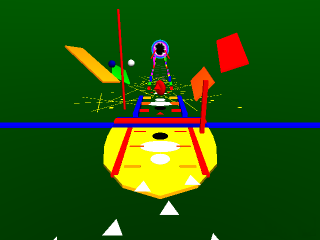 Description: Enigma was a demo for Amiga, made during the first popularity wave of virtual reality. I created a high definition, high detail remake of it, plus VRML worlds to turn a non-interactive experience into an immersive trip. 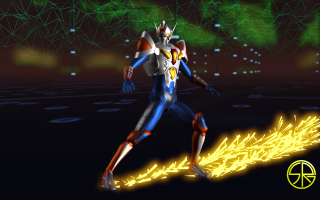 Description: Superhuman Samurai Syber-Squad was an American TV series from the mid-1990s, created to ride the hype wave for multimedia computers and the Internet. I shot a fan episode of it, based on a fan-fiction of my own, depicting an event that would have probably occurred in the second season. Description: In 1995, Italian artist Mario Canali created Oracolo Ulisse, a virtual reality installation that let people experience a "virtual shamanic trip", while sensors registered conscious and unconscious body signals to produce a final "oracular response". This is a program that I made from scratch, which reproduces that virtual environment and makes it explorable. Although it lacks any form of body signal detection, it reads the user's input and calculates an oracular response from it.